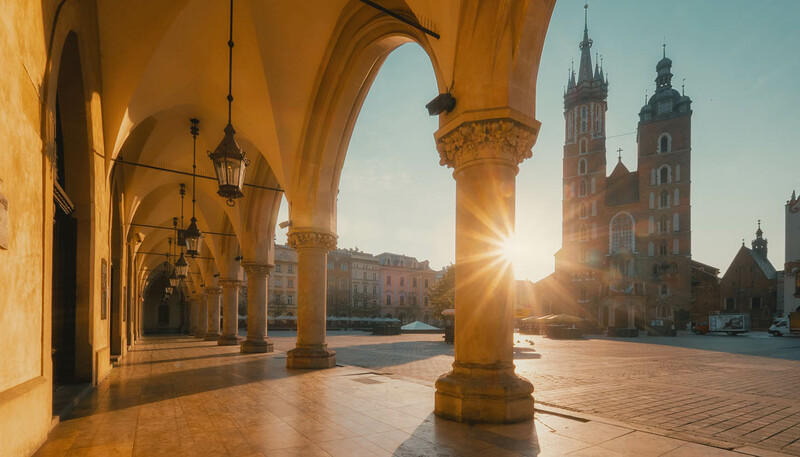 Cracow is one of the most perfectly preserved old cities in all Europe, and although it stands as Poland’s second largest, it rivals Warsaw in any claim to be the country’s cultural capital. As home to one of Central Europe’s oldest universities, and one of the few parts of Poland not annexed by Germany or Russia (Cracow got the more lenient Austrians instead), the city has always punched above its weight as a place for independent art and thought. The more learned will see Cracow as a textbook of Gothic, Renaissance and baroque architecture, which has earned it a listing as a UNESCO World Heritage site. Cracow isn’t just old and pretty, however, it’s also a city that likes to let its hair down. With one of the highest concentrations of pubs, clubs and bars in Europe, hunting down the best of them in the Old Town backstreets and the hip quarter of Kazimierz is one of the city’s true pleasures. Prices are significantly lower than in Western Europe and consequently the city has become popular with stag and hen parties. Still, this is no metropolitan Magaluf – many Cracow nightspots have real character and charm, and the city’s theatre, opera and classical music are also a major draw. While Polish cuisine may not have much of an international reputation, Cracow has enough excellent restaurants to convert any sceptic. A recent gastro-boom focused on local, traditional food has made the city a great place to see what the fuss is about. For those after fresh country air, Cracow’s rural hinterland is also stunningly beautiful. Mountains start to rise just south of the city, filled with deep valleys topped by ruined castles. The region even offers alpine-style skiing just 100km (62 miles) away in the Tatra Mountains, a popular winter daytrip for locals. They say you can’t please all of the people all of the time, but Cracow is hell bent on proving otherwise. Poland’s biggest draw entices visitors for a gamut of reasons, but whether you’re motivated by history or hedonism, architecture or art, you can’t fail to be impressed.